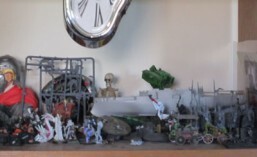 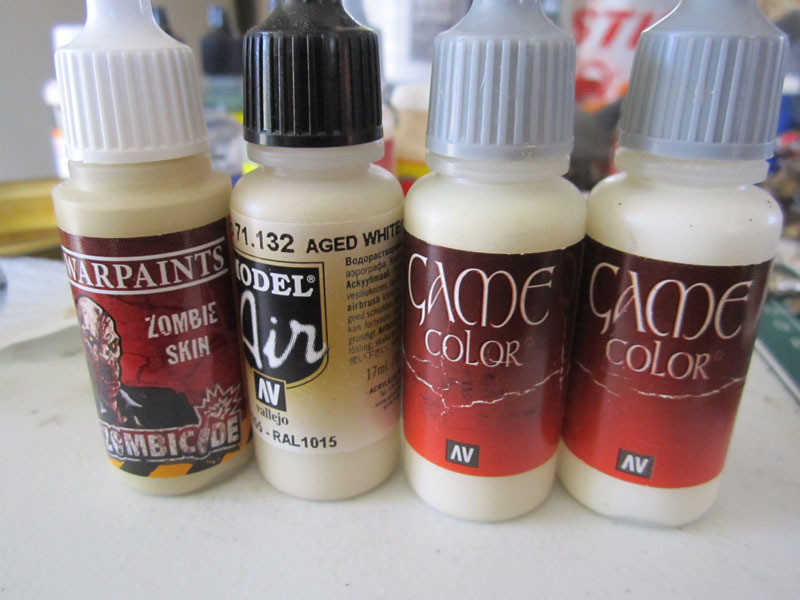 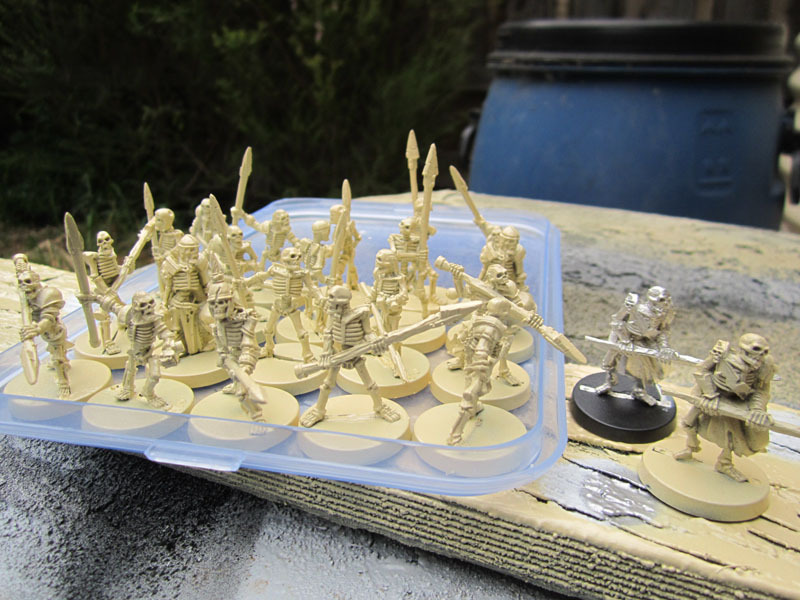 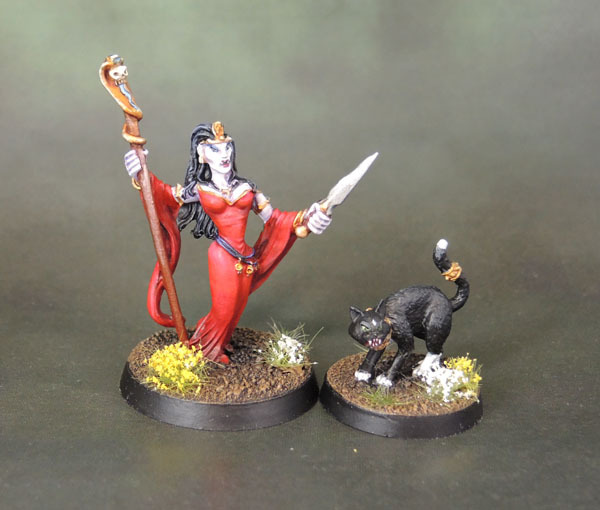 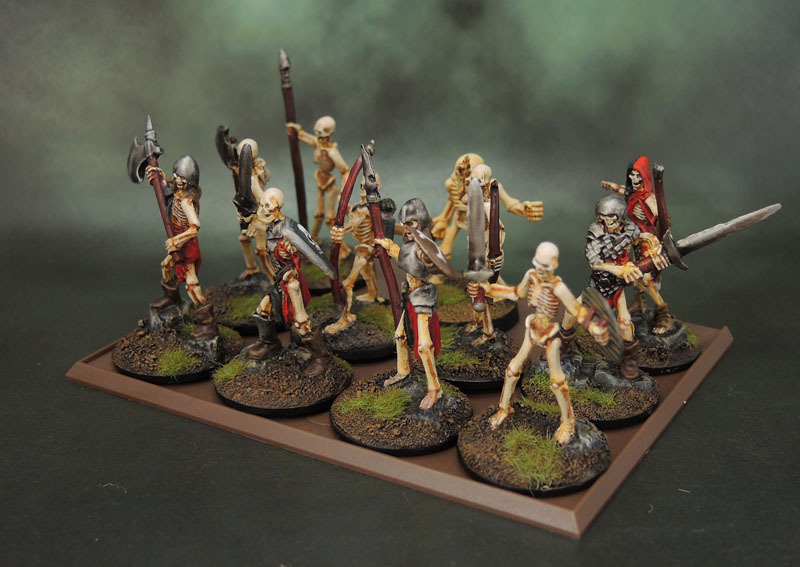 Undead | Azazel's Bitz Box. 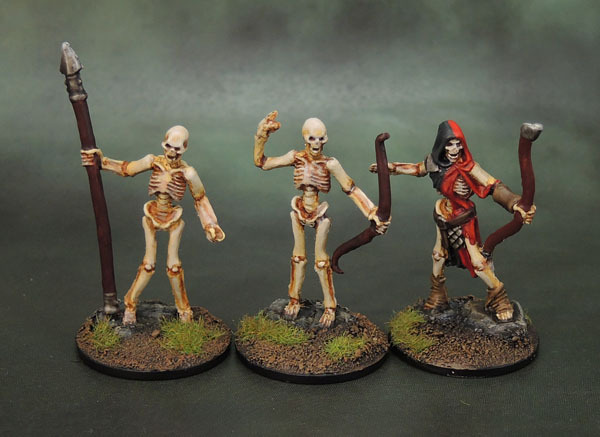 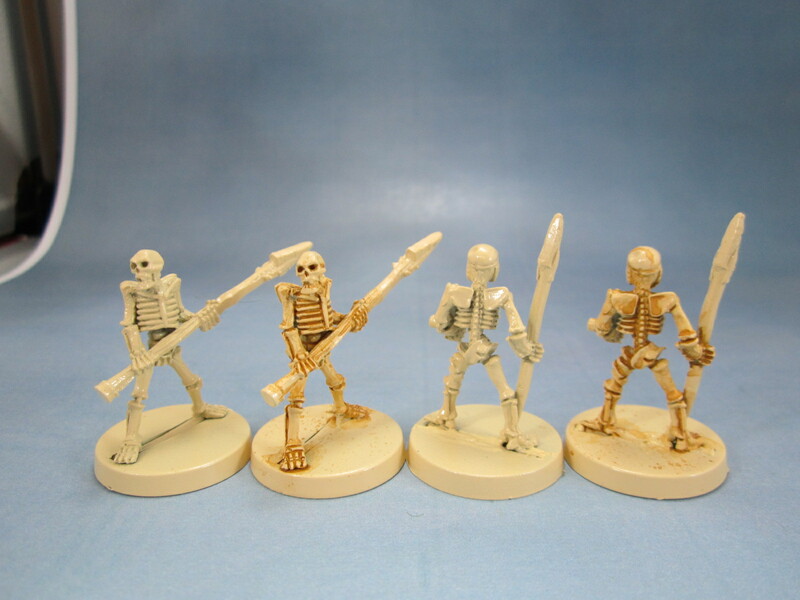 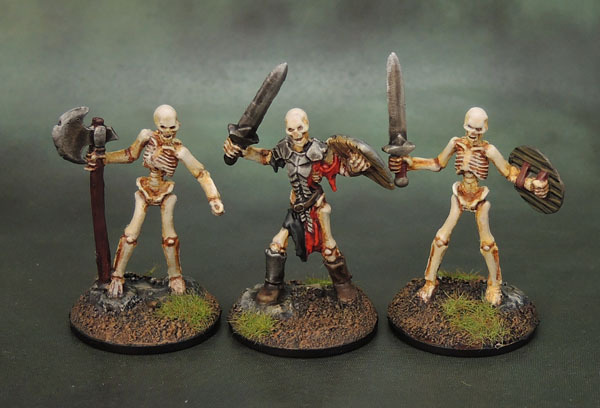 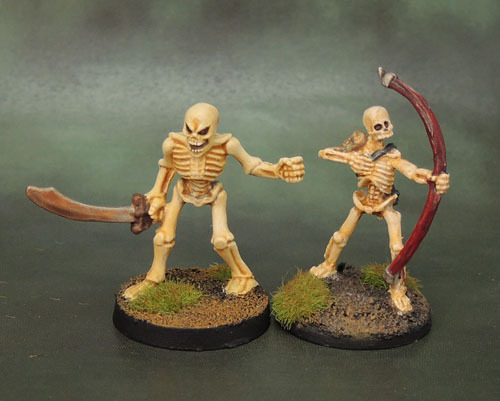 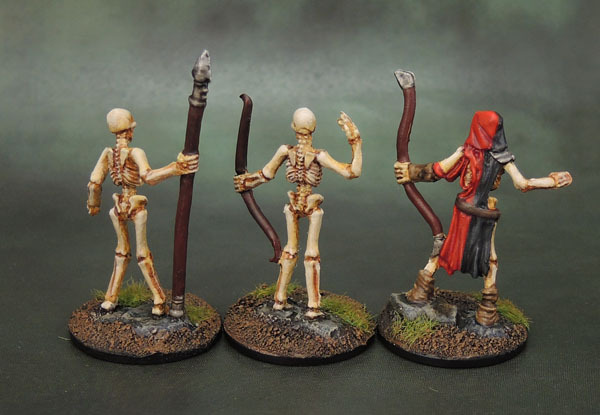 These Skeletons are from at least 1989, and I believe that all three of these were sculpted by Aly Morrison. 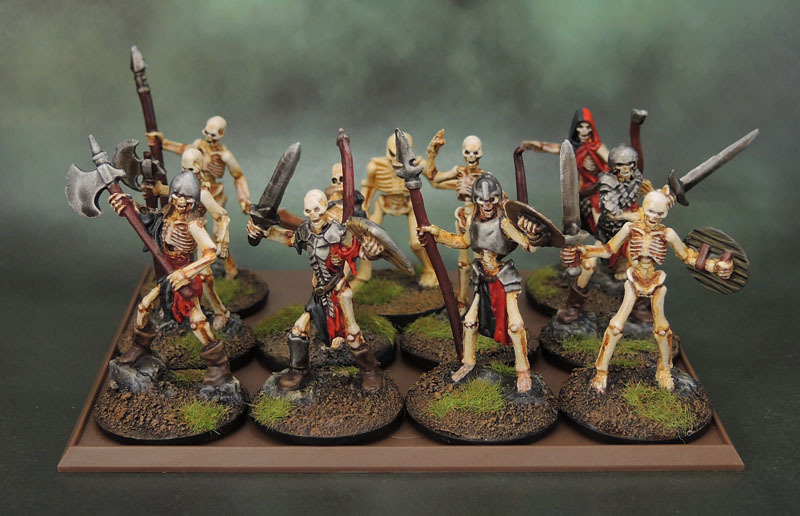 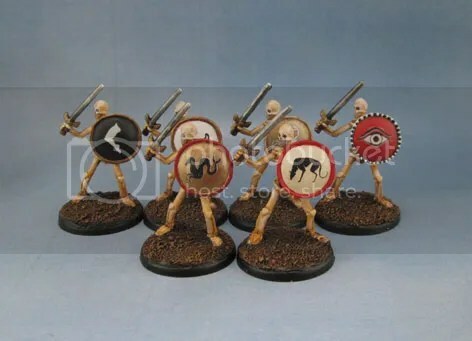 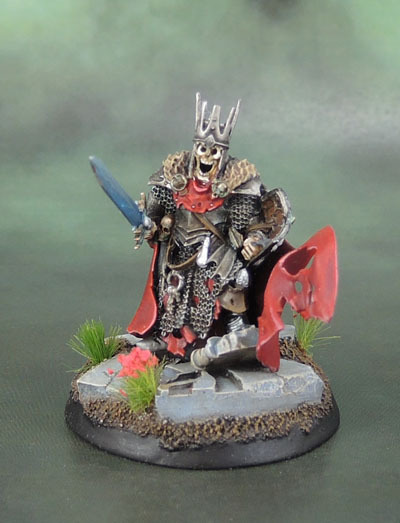 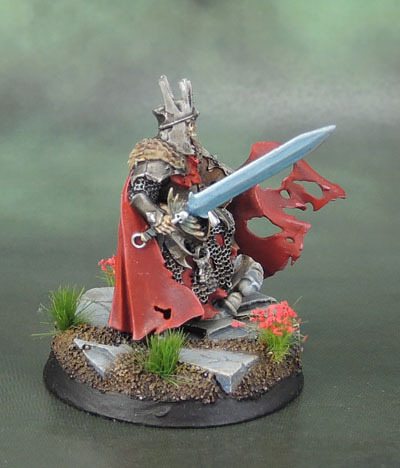 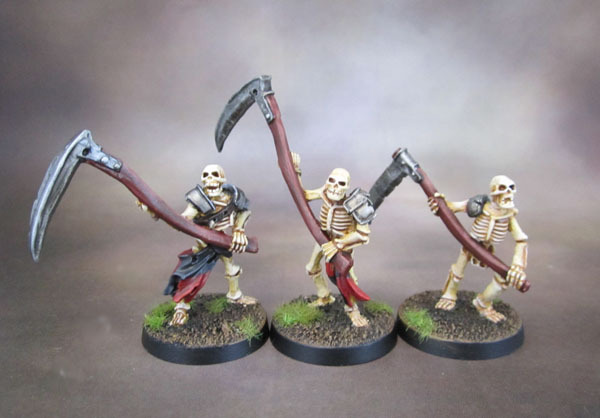 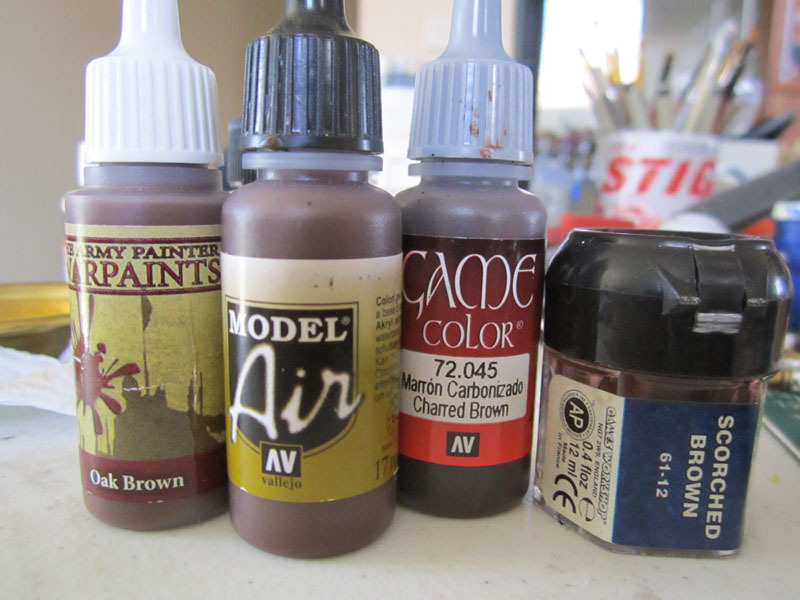 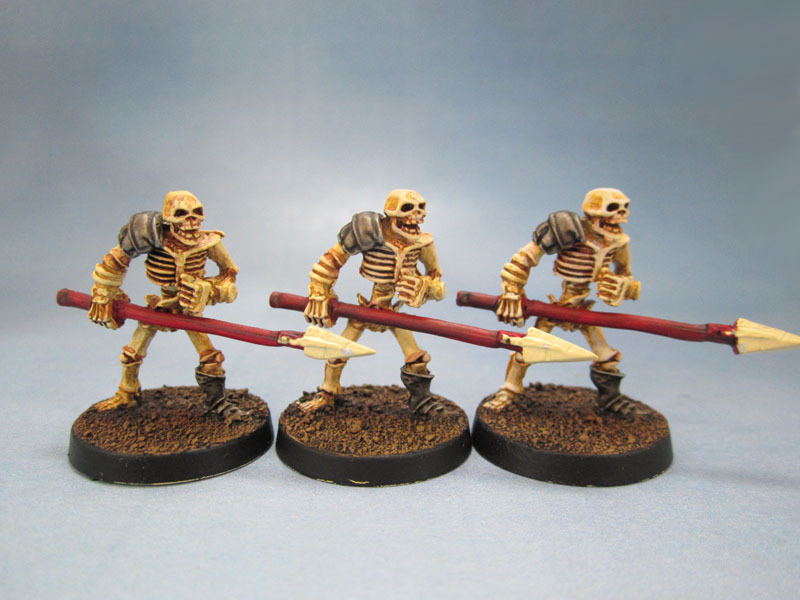 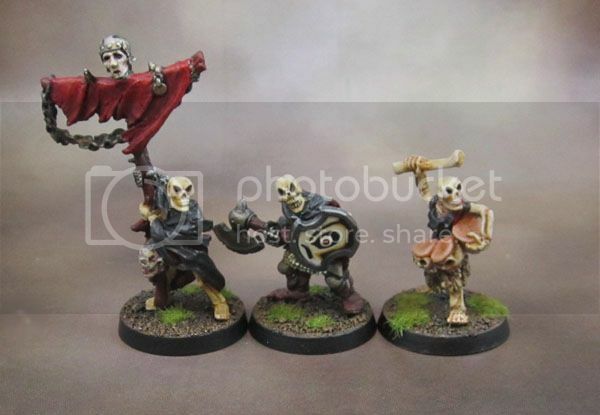 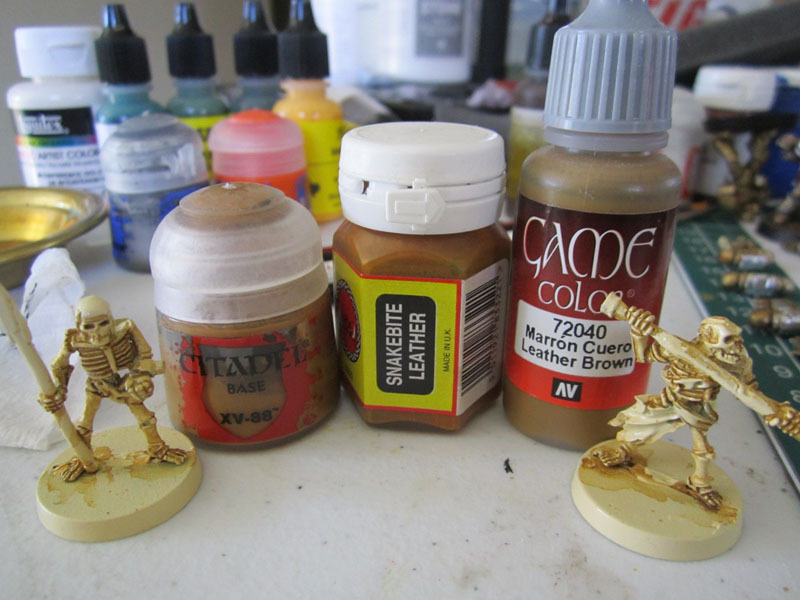 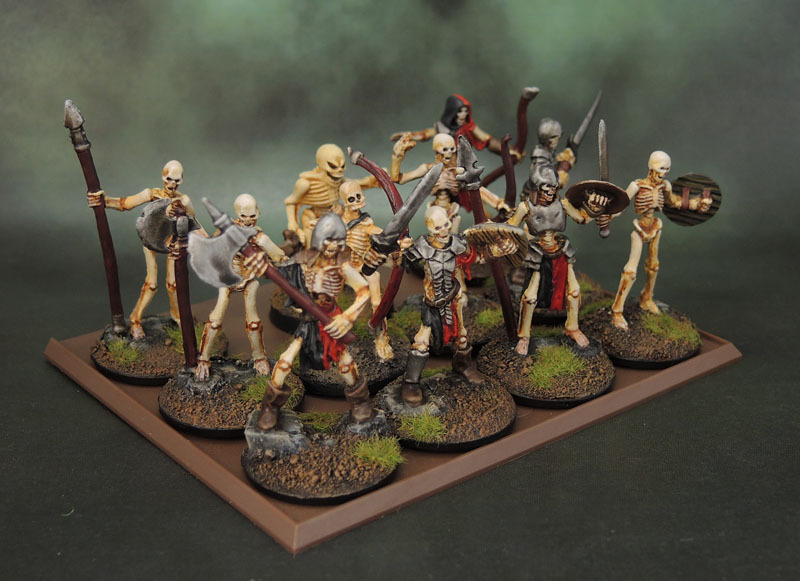 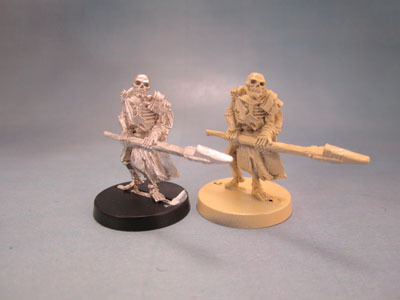 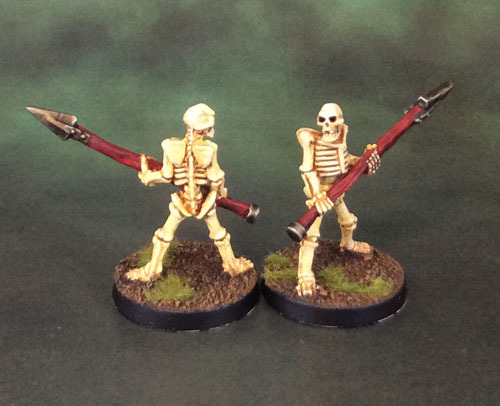 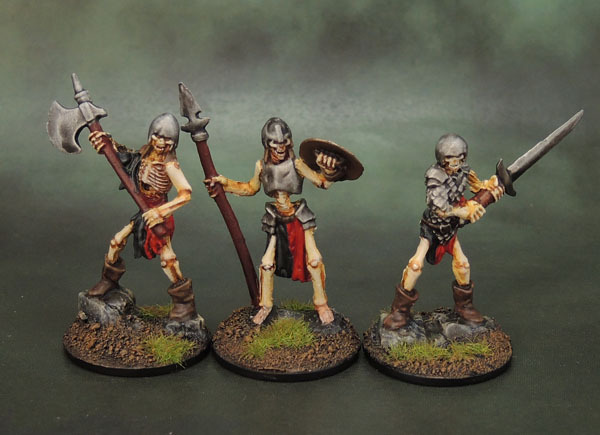 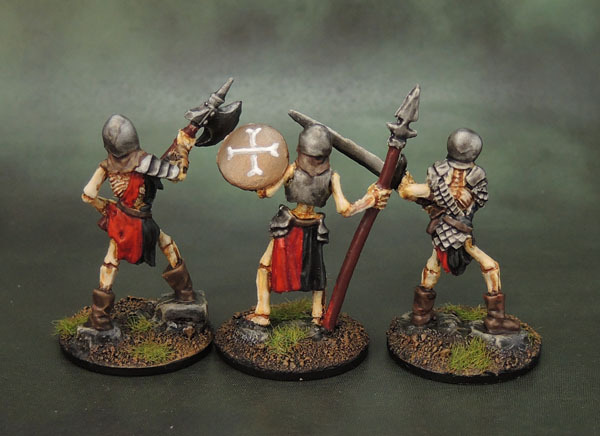 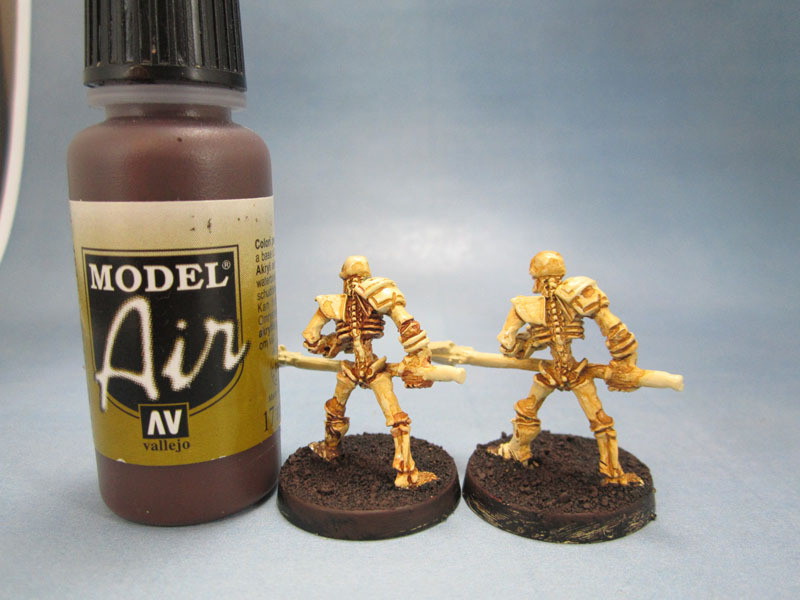 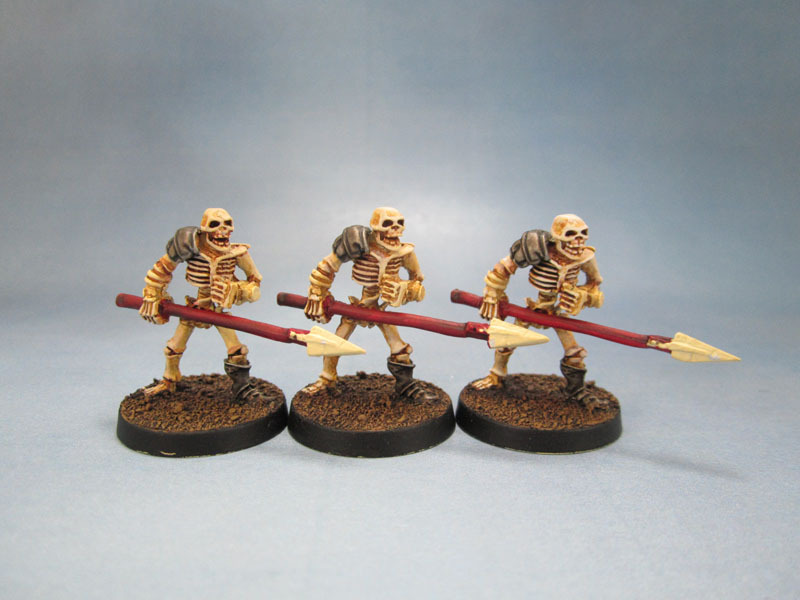 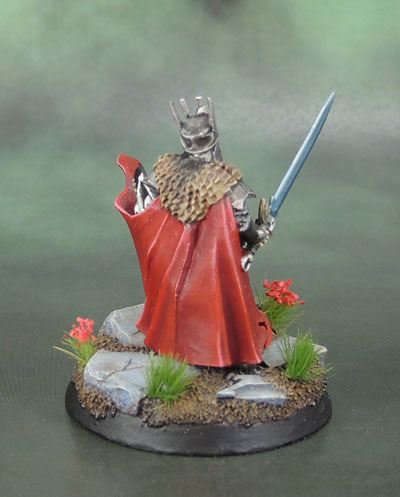 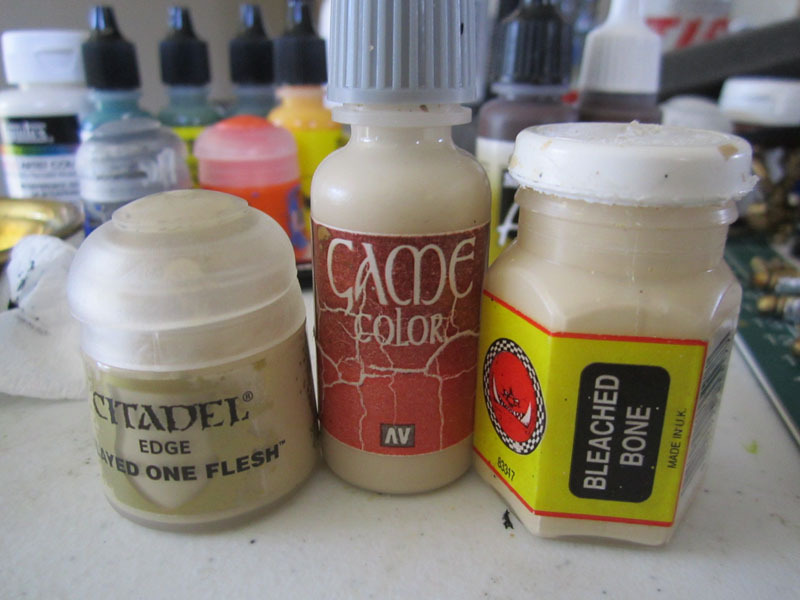 I’ve kept to Marouda’s overall Undead army colours of Black, Red, old Brass and Steel (and bone!) 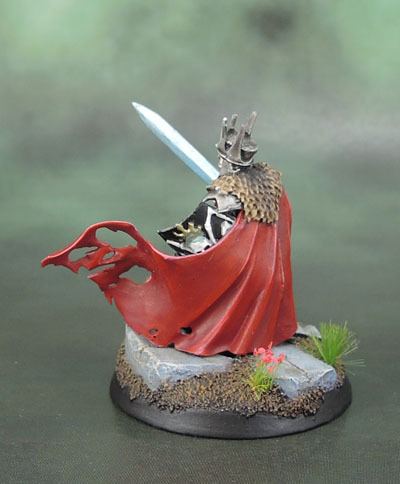 Shields can be a bit of a challenge, in that I like to keep to smaller ones that don’t overpower/hide the rest of the model too much, but want to make them interesting in their own rights. 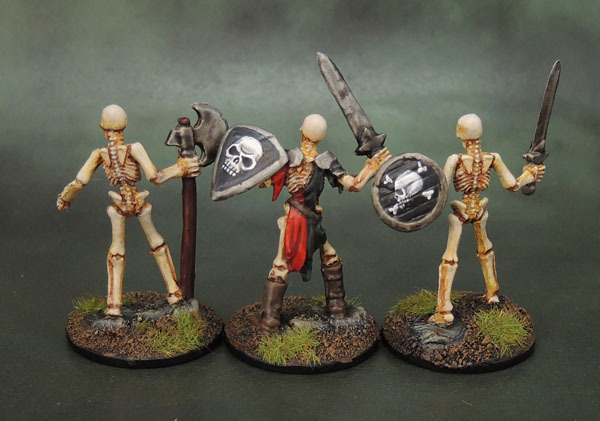 I went with an era-appropriate smaller shield and gave it a half-skullface design, with a bit of an attempted depth painted onto it.